There is a lot of buzz in the market promoting vegan diets and its benefits. Due to the buzz, it looks like it is beneficial to completely rule out traditional non vegetarian diets. Moreover, due to this extreme buzz, many people are even taking their eyes off the benefits of having an all meat diet. 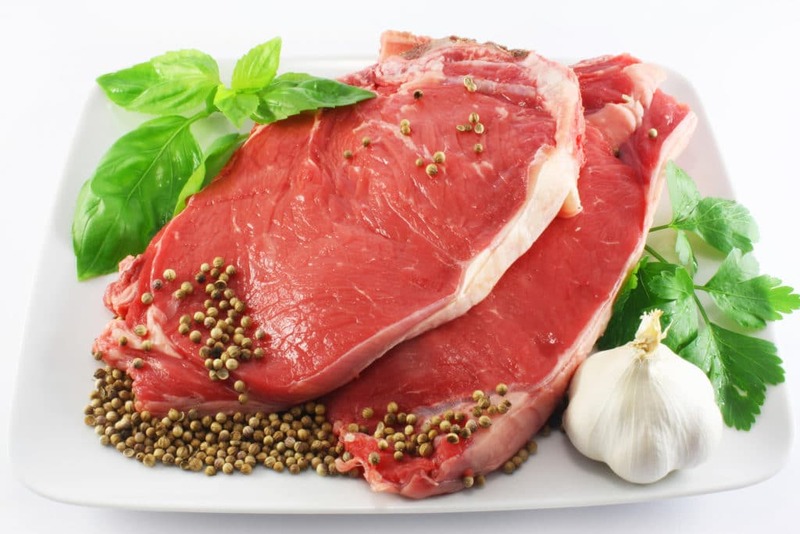 In this article, you will know everything you need to know about a healthy meat diet, and it will also help you decide whether the meat only diet is for you or not. Many people perceive that meat only diets are for people doing heavy workouts. Yes, people involved in heavy workouts do need healthy meats, but it is not only beneficial for them. If you look at the world around you, every person is involved in some kind of diet (good or bad), and they also require the nutrient provided by meat items. The all meat diet will not only entertain your taste buds, but it also provides many health benefits. 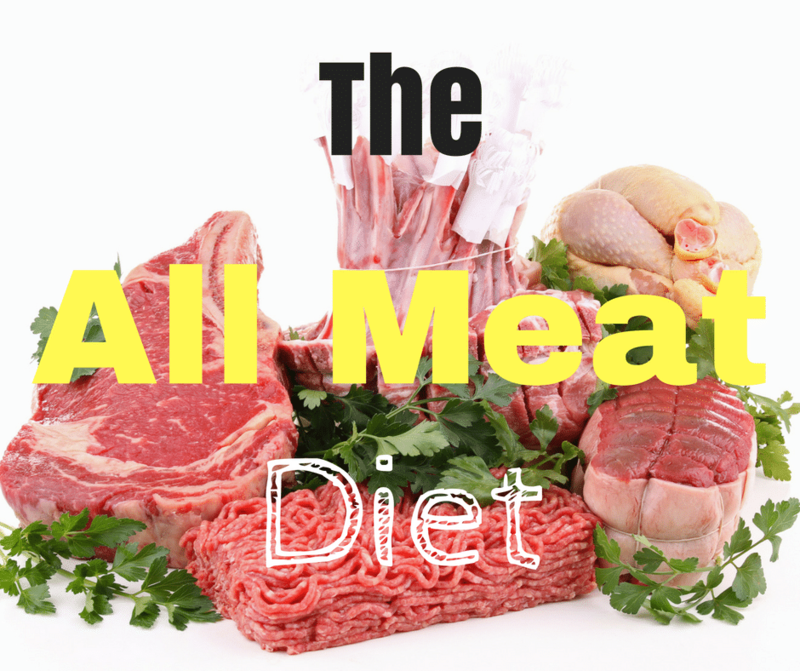 What is An All Meat Diet? Who should stay away from an all meat diet? Who should seek out for an all meat diet? How Much Meat Should Be Consumed? 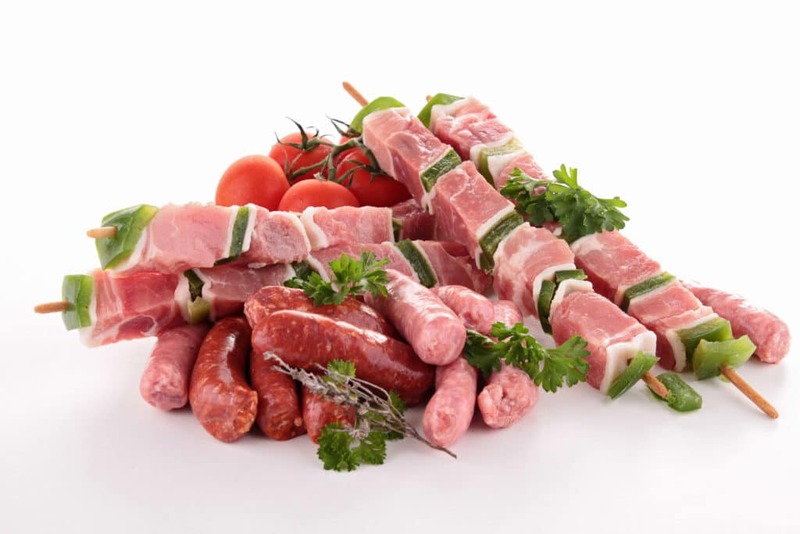 An all meat diet can be simply defined as the diet containing various types of meat items like fish, chicken, beef, bacon, and other varieties of meat. What this diet actually does is it reduces the amount of carbohydrate intake by replacing it with its high protein. With healthy meat diets, you are likely to have an adequate level of energy flowing through your body throughout the day because meat diets are a very rich source of protein. The world has not yet seen a single civilization that has been living entirely on a vegan diet till now. Even with the meat consumption, the majority of the population in the nation is still healthy and they have a better quality of life. An all meat diet is a matter of concern to most of the researchers, and it has made them research on this topic for quite a while now. In one research conducted by the group of researchers in the remote area of Alaska in 1972, the findings were fascinating. The research showed that the people living there consumed large quantity of meat, and because they were having a large quantity of meat, the incidence of heart diseases was significantly ten times lower than the general population in the United States. This shows how the people living there have a healthier heart, and having a meat diet is not as bad as the world promotes it in the current world. The Inuit who resides on Canadian Arctic progressed on whale, fish and seal. The Chukota who resides on Russian Arctic were entirely depended on marine animals, caribou meat, and fish. The warriors who live in East Africa like the Masai, Samburu ate only meat and milk. In Mongolia, the nomads depended upon meat and dairy products. The Sioux who resided in South Dakota, ate a lot of buffalo meat. The Brazillian Gioux progressed with beef diet. Talking about the history of different cultures like Asian vs African, North vs Equatorial region, and other regions, there was one thing in common, and that is all were having a meat diet in the past until some kind of changes took place. The Arctic people used to live in the nations like Russia, and Greenland. The trade took place in the 1800’s, which gradually brought changes in their diets. In East Africa too, people solely depended upon animals’ meat for survival before the diets gradually started to change. Overall, it can be said that most of the people in the past solely depended upon all meat diet. Moreover, despite the facts that they consumed hardly any fruits and vegetables, they were still able to maintain their health. Many scholars have researched on this topic. Before the advancement of many civilizations, many people solely depended upon meat diets for survival. Yes, many benefits of vegetarian diets are discovered by the scientists, and it has overshadowed the benefits of eating meat. The advertisements, promotional activities of vegetarian diets have now overloaded the television, billboard, and others. But, does this mean that science is now telling us to give up on meat diets. The recent trend is like blaming meat for each and every disease diagnosed among the patients. Some blame it showing the scientific data, and some just blame meat because they want others to be vegetarians. This topic is even a matter of debate among the two groups of scientists. One group of scientists wants people to be vegetarians, and they give more emphasis on the benefits of a vegan diet, and another group of scientists defends why we should be eating meat. The fact about all meat diet is that human beings don’t have to give up on meat. Throughout the past, human beings have survived on a meat diet. The digestive system of human beings is designed to process both plants and meat, and human beings are being designed as the omnivorous animals. Human beings have a comparatively shorter digestive system than herbivorous animals, and it makes human beings harder to digest cellulose, which is the major fiber found in plants. In addition to the digestive system, science has also found many useful nutrients in meat diets needed for human beings. Many people ignorantly say that meat is only the source of protein, and it is completely wrong. A 100 gram of raw ground beef contains vitamin B12, B13, iron, zinc, B6, and other essential vitamins and minerals. Vitamin B12 is not usually found in normally consumed plants. Creatine: it is responsible for energy reserve in your muscles and brain. Carnosine: It works as an anti-oxidant and protects against degenerative processes. DHA and PHA: It is an active form of omega-3, and the active form of omega-3 found in plants known as ALA cannot be effectively converted by our body. The myth about meat raising your cardiovascular diseases has also been resolved with some researchers researching on this topic. The study shows that saturated fat is not linked to heart diseases. Another massive study from Harvard reveals that unprocessed red meat is not associated with cardiovascular diseases and diabetes. All these studies have shown the results in unprocessed meats, so it is better to consume unprocessed meat. The science has shown absolutely no relevant benefits of giving up meat and opting for vegan diets. You don’t have to worry about risking your health by consuming meats. There are lots of myths promoted in the market in order to promote vegan diets, so next time do provide all this information to those who wants you to give up meat. The meat not only tastes delicious, but there are also many benefits of eating meat. There is no doubt that vegan diets are healthy, however, you should not give up on meat because of the benefits it offers to you. Rich in Protein: Protein is extremely essential nutrients needed by our body. Since meat is extremely rich in protein, you should consider the meat diet. The protein you get from meat enables your body to repair and build body tissues, production of antibodies to protect the body from various types of infections. Meat consumption not only has these benefits, the protein you get from meat consumption also strengthened your immunity system. It does not invite diseases, but in fact the better immunity system helps your body to protect itself from other diseases. Furthermore, meat contains each and every amino acids required by our body, and it is one of the best sources of protein. Stable blood sugar: Many people promote myths like stop eating meat or else you will have diabetes and other diseases. However, meat consumption does not increase the sugar level in your blood, in fact, it stabilize the sugar level in your blood. A high level of protein and fats contained in the meat stabilizes the sugar level. Due to stabilization of blood sugar level, it helps in prevention of type 2 diabetes along with other chronic diseases. Another great benefit of meat consumption is that it reserves your energy level for a longer period of time. This will prevent you from frequent eating habits, and it reduces the cravings for unhealthy foods. Neurotransmitter Health: The absence of meat protein is not good for the overall health of human beings. The people who don’t consume meats are in danger of inviting neurotransmitter imbalances in their life because of the lack of meat protein, as meat provides each and every essential amino acid required by your body. Neurotransmitters are responsible for regulating and managing various functions in our body, which includes physical, cognitive, and mental processes. Furthermore, it is also responsible for regulating our sleep cycle, weight, along with emotional states. Because the people who don’t eat meat are vulnerable to neurotransmitter imbalances, they are also more likely to have problems like depression, hyperactivity, and anxiety. The research carried out at the University of Graz reveals that vegetarians are 2 to 3 times more prone to disorders like depression, anxiety, somatoform disorders, eating disorders, and syndromes. Long Lasting Energy: Meat is responsible for providing long-lasting energy to the human beings. In case of simple carbs, your body will quickly burn it down to sugar causing us to feel dried out of energy after a certain time. In case of a protein diet, your body will reserve your energy, and it lasts out for a longer period of time. The reason meat consumption provides long lasting energy is due to stimulation of orexin cells in the brain. There is a direct relationship between stimulation of oxerin cells and energy expenditure and wakefulness. The group of researchers at the university of Cambridge revealed that amino acids we get from meat consumption is responsible for stimulating orexin cells more than any other nutrients. Hence, the consumption of meat leads to calories burn and restores more energy. Moreover, the risk of anemia and low energy is significantly reduced by consumption of meat. As meat is one of the richest sources of iron, it provides you with sufficient iron to prevent yourself from low energy and risk of anemia. Vegetarians are more prone to the risk of anemia, and it is one of the major problems for them. Weight Management: It is another interesting benefit of consuming meat. The vegetarians believe that meat eaters are fat, and they are more likely to gain more weight. However, there are many vegetarians who are even fatter than meat eaters. The fact is that meat helps in weight management. The consumption of meat will greatly reduce your crave for more and more carbohydrates. Because it reduces your cravings for extra foods, it will prevent from eating snacks in a regular interval. Moreover, the consumption of meat also starts a body process known as thermogenesis, which your body requires to spend high level of calories for digesting the food. Slows down your aging process: This will prove to be a vital benefit for the people worried about the aging process. Not only meat consumption provides you protein, healthy muscles, and all, it also slows down your aging process. It is always better to have strong muscles and the youthful skin. The protein we get from meat consumption helps the body to synthesize glutathione. The master antioxidant found in meat leads to eliminating toxins and reducing carcinogens for preventing aging. The research also shows that the meat consumption can also treat muscle loss due to aging known as sarcopenia because of a diet high in balanced amino acids. The All Meat Diet vs Vegetarian Diet would be an interesting comparison. This comparison is not only relevant in case of general people, but even top scientists do this comparison to find out which diet is better. This is one of the comparisons that don’t look like ending, as there are many vegetarians who want others to give up on meat diet. They bring out all the information they get from animal rights groups, and try to educate meat eaters. The first comparison would be in terms of cost. All meat diets might cost a bit higher than vegetarian diets, however, it might be different on the basis of geographical locations. In the places where meat costs lesser than vegetables, the cost for vegetarian diets will be higher than all meat diets. However, in the locations where vegetables are cheaper than meats, the all meat diets will cost a bit higher than vegetarian diets. The meat eaters will have the higher level of protein in their body. Meat is the richest source of protein, and it is one of the crucial nutrients required by our body. It is responsible for growth, development and repairing of body tissues. Moreover, it also plays a crucial role in the production of antibodies and strengthens your immunity system. In case of vegetarian diets, they can have proteins from different specific foods, but the amount is not so much adequate in comparison to meat diets. The meat diets are also extremely rich in vitamins. Despite of plants being rich in antioxidants and minerals, the amount of important vitamins is found in higher amounts in meat diets like vitamin A, B, and D, and these vitamins are found in an inadequate amount in vegetarian diets. Meat diets contain various important minerals required by our body like iron, zinc, and selenium. Iron is regarded as a main constituent of hemoglobin along with many other biological reactions. Zinc plays a role in metabolism and tissue formation; selenium is required to break down chemicals and fats in the body. In case of zinc and selenium, animal meat is a better source to have it than vegetarian diets. There are many nutrients that are absent from vegetarian diets like Docosahexaenoic Acid (DHA), Creatine, and Carnosine. They all play a vital role in maintaining the functions of muscles, nervous system, and the absorption of fat soluble vitamins. In case of chemical toxins, animals may be exposed to various chemical toxins, especially in processed meat, so the chance of high chemical toxins exposure is comparatively lower in vegetarian diets. Talking about the digestion of foods, meat diets require more energy to digest, whereas vegetarian diets requires a lesser amount of energy to digest it, making it more gut friendly. You will find lots of varieties in meat diets, but the variety in vegetarian diets are a bit broader. It is more flexible to mix different vegetables all together for having all the nutrients available in them in a single meal by making a vegetable salad. The meat diets can take more time to prepare in comparison to vegetarian diets, which can even be eaten without cooking. In case of meat, it is extremely important to properly cook it up for a better consumption. Vegetarian’s diet contains lesser calories. Moreover, some important nutrients are absent from vegetarian diets. This can lead to nutritional deficiency. Another fact about the people consuming vegetarian diets is that the vegetarians are more likely to feel drained out of energy. The amount of energy received from animal meats can never match the amount of energy received from vegetables. Many vegetarians might claim they are ethical by not killing animals for their food, but even that logic is not so much relevant. If we look properly at the ecosystem, animals are divided into carnivorous, herbivorous, and omnivorous. Among these three species of animals, only herbivorous animals don’t require meat consumption, and human beings being an omnivorous animal require meat consumption as well. The logic of being ethical is irrelevant to be honest, and you can’t even say that the ancestors were unethical because of eating meat for survival. In spite of having many benefits, there are some groups of people who need to stay away from all meat diet. An all meat diet contains excessive protein and nutrients, and there are some people who should not consume excessive amount of proteins. People with digestion problems: Whether you have a small digestion disorder, or a severe digestive disorder, you should avoid foods with excessive proteins while you’re still having digestive problems. People having problem with excessive protein storage: You do require adequate amount of protein, but too much is not recommended. People with excessive protein storage are likely to suffer from various diseases, and those people should avoid all meat diet. An all meat diet can do a whole lot of good for the people involved in serious workouts. As consumption of meat leads to long lasting energy, it will provide the adequate amount of energy to the people involved in physical workouts throughout the day. Athletes require a great body, fitness, and also lots of energy and stamina for their workouts. Athletes such as swimmers, runners, cyclist needs to go through intense training each and every day for maintaining their stamina and improving their skills. At the same time, it is necessary for them to stay away from fats. So, all meat diet is perfect for them as it provides them with adequate protein fulfilling their energy requirements without letting fats to be stored in their body. People who go to the gym: Many youngsters go to gym for various reasons. Some of the people want to have great abs, and some people want to have a huge volume. It all depends upon the taste and preference of the people. Whatever the reason may be for going to a gym, it requires a lot of energy to complete the workouts and without healthy diet; people are likely to suffer from sickness or other weakness. To fulfill the requirements of energy flow throughout the day, all meat diet can do a whole lot of good to them. Physical Jobs: All the jobs in the world are not desk works; there are many people who need a lot of energy to perform their works. They need to roam around different places, walk a lot, repair and fix the machines, and others. All these works are physically challenging. Without enough protein, those people are likely to suffer from various sicknesses. For those people, all meat diet can provide adequate energy to keep them going for the whole day. Suffering from weakness: There are various reasons for the people to feel weak. Some people might have recovered from a serious fever, and some people might have other causes for weakness. In case you are suffering from weakness, all meat diets can help you recover your energy. It is very rich in protein and other minerals, and because of this fact, you will quickly have the energy back in your body. The complete benefits can be extracted from meat diets when you consume the healthy meats in a right quantity. Chicken Breast: Chicken Breast is a tasty and classic muscle-building diet. You can have chicken breast with a BBQ sauce, and many other ways. There are various recipes for preparing a healthy and tasty chicken breast. Grass-Fed Beef: Grass-Fed Beef is one of the healthiest meats to eat. It contains a whole lot of vitamin E and antioxidants, which will ward off radical damage linked to aging. This meat will also strengthen your immunity system. The nutrients in grass-fed beef is 3 times higher than normal grain-fed beef. Wild Boar: Wild Boar is not only tasty, but it is also a rich source of vitamin B. A single serving of wild boar provides more than 70% of the required amounts of niacin. It also helps in reducing the level of bad cholesterol in your body, and it boosts your energy level. Another essential nutrient in this meat is the Zinc, which will substantially enhance your immunity system. Pork Loin: Pork Loin is another healthy meat to eat. Even the small servings of pork loin provide a whole lot of essential nutrients required by your body. It provides you with nutrients like protein, vitamins with just 2 grams of saturated fats. Turkey Breast: Turkey Breast is a protein powerhouse. It can provide your muscles with tons of protein. One of the good things about turkey breast is that it can be found with the label antibiotic-free in case you are concerned about it. Yellowfin Tuna: Yellowfin Tuna is a feast for the people who love to have fish in their breakfast or lunch. It can be easily digested, and the protein it contains is of premium quality. It also has vitamin and anti oxidants required by your body. Sockeye Salmon: Sockeye Salmon has a wonderful taste and it also provide wonderful benefits to those who consume it. It provides an excess amount of protein, and you will also find fat-fighting omega-3 fatty acids in this diet. These healthy meats to eat will do a whole lot of good to your health. You can find many more healthy meats to consume in addition to these listed meats. With a list of healthy meats to eat along with its recipes, you can prepare the healthy meat diets in your home. Some meat diets can take a lot of time to prepare and some might take a bit shorter time to prepare. The ingredients can be altered according to your taste and preferences for adding some extra flavors. There are many types of food you can prepare from chicken breast. However, in this article, you will be provided with Cumin Grilled Chicken Breast Recipe. Cumin Grilled Chicken Breast takes around 10 minutes to cook and 10 minutes to prepare. The ingredients needed for this diet are pepper, salt, olive oil, ground cumin, cooking spray, 4 boneless and skinless chicken breasts. Spray a grill or a grill pan along with cooking spray. Heat it to medium-high heat. Rub chicken breast with ingredients like cumin, salt, pepper, and rub spice mixture. Make sure it’s evenly rubbed throughout the chicken breast. Grill until the chicken is cooked. Take 5 minutes to cook on each side. Remove it from the heat, and let it cool down for 5 minutes. Like chicken breast, you are able to make a variety of diets with grass-fed beef too. In this article, you will be provided with the recipe of Classic Meatloaf. The texture of this meatloaf is a bit dense, and it holds beautifully. It takes around 40 minutes to cook and 10 minutes to prepare. The major ingredients used in it are milk, bread, grass-fed beef, garlic, onion, beef stock paste, yellow mustard, egg, parsley, molasses, salt, and pepper. First, heat the oven to 325 degree Fahrenheit. Crumble the bread, and then you should place it in the bowl with milk. Set aside to let it soften for around 10 minutes. Mix the beef with ingredients like bread/milk paste, garlic, onion, beef stock paste, seasoning mix, tomato paste, mustard, and parsley. Pour a little salt and pepper for enhancing the taste. Shape the mixture in a size of 9 inches long and 4 inches wide. Then keep it onto foiled-lined broiler pan. Add ketchup with molasses. Brush loaf with around 1 tablespoon of mixture. Place the meatloaf in oven. Brush it again with a ketchup/molasses mix for 10 minutes-30 minutes as per required. Bake it for at least 40 minutes until and unless the center measures 130 degree F.
Remove the meatloaf from your oven, and cover it. Let it rest for around 10 minutes. Slice it and eat it. This will be the final recipe in this article. It tastes really sweet and tasty. It requires around 30 minutes to cook and 5 minutes to prepare. The ingredients used to prepare Honey-Dijon Alaska Salmon are honey, Dijon-Style mustard, melted butter, Worcestershire sauce, salt, pepper, 4 Salmon steaks, fresh asparagus spears, and chopped walnuts. Heat the oven to 400 degree F. Put baking pan with aluminum foil. Mix mustard, butter, honey, salt, Worcestershire sauce, and pepper. Put the frozen salmon under water (cold) to rinse ice glaze from it. Pat it dry with paper towel. Keep the salmon portions in center of foil-lined pan. Keep asparagus around the salmon. Having a meat only diet can significantly boost your energy level in your body. These are just the sample meat diet plan, and you can adjust accordingly. Breakfast: Eggs, Fish, and fruit juice. Lunch: Chicken Salad, and handful of nuts. Dinner: Chicken Burgers with no bun with juice. Breakfast: Bacon, eggs, and juice. Lunch: Burgers with no bun. Breakfast: Chicken Breast and bread with juice. Lunch: Sandwich with tuna fish and vegetables. Dinner: Ground-beef with some berries. Breakfast: Tuna fish, bread, and handful of nuts. Lunch: Wild Boar or Pork with juice. Dinner: Beef fry and fruits. Breakfast: Eggs and salmon fish. Lunch: Chicken Salad with handful of nuts. Dinner: Chicken Steak and fruits. Breakfast: Bacon, Eggs, and fruits. Dinner: Baked Salmon and nuts. Lunch: Sandwich, meat, and nuts. Dinner: Grilled Chicken and salad. You can modify the diet according to your preference and taste. Even though meat diet can provide various benefits to your health, you must make sure you don’t eat it too much. The optimum amount of meat to consume entirely depends upon your goal. However, the large portion of meat must not be consumed in a single time. For Muscle gain: 1 gram/pound of your body weight. Maintain your muscles: 0.65 gram/pound of your body weight. 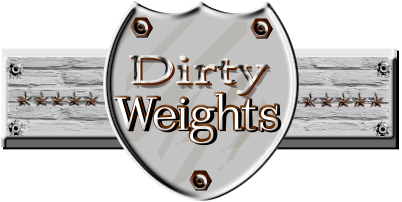 Weight Loss: 0.65 gram/pound of your body weight. Limit rich meats: You should limit rich meats to around 1-2 times per week. The rich meats include pork and beef. Limit processed meats: Unprocessed meats are far better than processed meats. 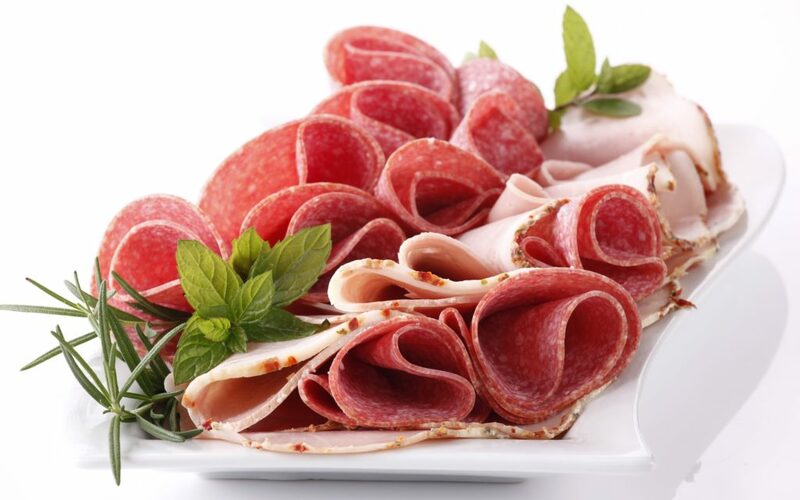 The processed meats should be limited, as it contains high amount of preservatives and sodium. Marinate meat to make the meat cuts tenderer: A good marinade must have the acids like lemon juice or vinegar for it to work. Choose hormone free grass-fed meat whenever it is possible: The trend of choosing grass-fed meats have now compelled the manufacturers to lower the prices. These meats are healthier and contain more nutrients. Purchase meat from local farmers or butchers: Most of the meats in the supermarket chains are bought from few national meat packing plants. However, if you buy the meats from local farmers or butchers, you will know the quality of the meat and how long it has been slaughtered. Don’t fry it more often: The meats you eat are healthier if you grill, roast, bake, or broil. The meats, which are deep fried in oil contains more calories than those which are grilled, roasted, or baked. Choose variety of meats: It is better to have varieties of meats instead of having beef or pork all the time. You can choose the meat options from varieties of fish or chicken, as the meat varieties contain different nutrients and amount of nutrients. Carefully determine the purpose of meat diet: As said in the earlier part of an article, the amount of meat to consume entirely depends upon your purpose. So, you should better set your objectives before planning your meat diet. When you develop healthier eating habits, you are likely to be more benefited from the diets you have. Only the quantities of meat you consume don’t determine the quality of nutrients you have, but it also depends upon the varieties, and timing of your diet. Instead of saying vegetarian diet is better or all meat diet is better, it is better to analyze the purpose of your diet first. You won’t be finding a significant difference in your health by opting for vegetarian diets. The debate of whether a vegetarian diet is better or meat diet is better will never end, so you should not be carried away by advertisements or promotions. There are many people who will be providing you with some kind of logics and data, and with this information, you can argue with them logically to defend your meat diets. Moreover, the people who eat meats will not completely ignore the vegetables. Non-Vegetarians are the ones who can consume the nutrients from vegetables along with the nutrients of animal meats. It is not like non-vegetarians don’t consume vegetarian diets at all. The best way to enhance your overall health would be to develop a proper diet plan according to your purpose. Whether your purpose is to build muscle, or to lose weight, or to maintain your muscles, you should plan the diet accordingly. The major benefits that are available to meat eaters are that meat is the richest source of protein, and to reduce the level of carbohydrates, meat diets can help you a lot. An all meat diet is something I've done in the past. What are the benefits of eating meat and what healthy meats to eat on this meat only diet. What part of “all meat” did you miss out on? This is a high fructose diet plan.